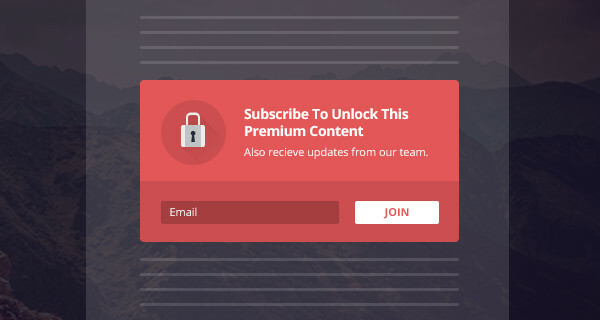 Lock Content feature allows you to hide important content using any popup, and display it to subscribers only. You can use any popup as locker form. If people want to view this content they must submit their contact details. After submission all hidden content become visible. It is a perfect way to extend functionality of your website. Whether you use WordPress for your business or even just as a blog or hobby site, one thing remains true, getting people to opt in to your mailing list or newsletter is essential. We have created a detailed instruction for you on Lock Content – you can find it here. Using pop-up windows was once frowned on as a ploy used by marketers who were just out to grab your cash, but it has entered the mainstream, with large-scale and legitimate business and website owners using popups to gather email addresses, ask for social network shares such as Facebook likes, or to promote the latest and greatest product/service. Do not drop behind! Install WordPress popup plugin by Supsystic and make your website more productive.